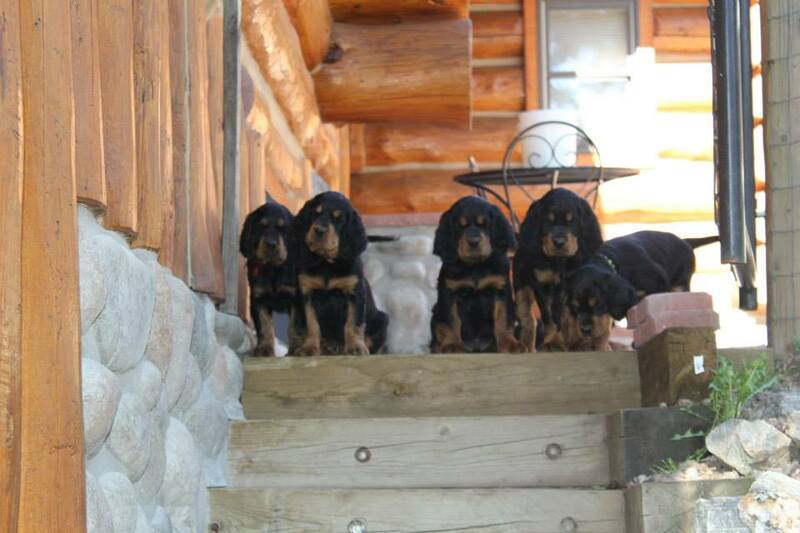 Many thanks to Jerry Nelson for sharing these links with us on our Facebook group Gordon Setters Students and Mentors. 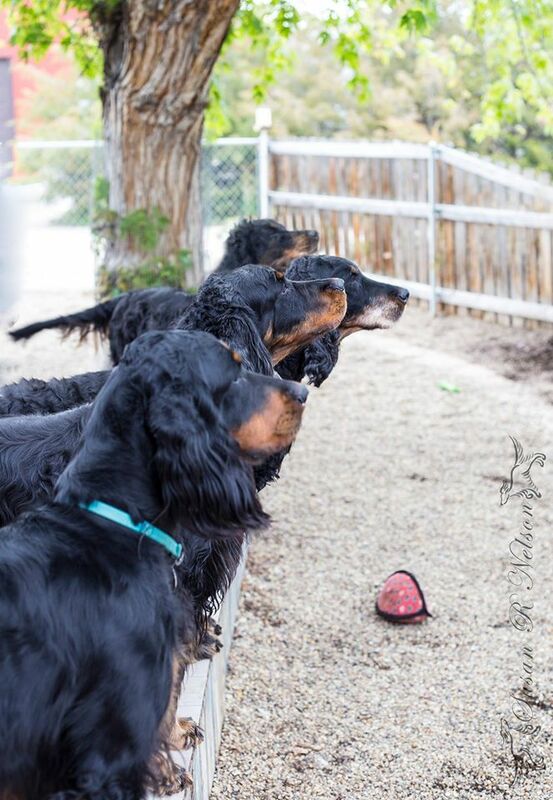 They are directly related to the genetic consequences that can arise from the decline in the Gordon Setter population here in the U.S., and though we do not have a similar study/review underway in the U.S. (that I am aware of – remember how I said we are behind the eight ball on this issue?) we can certainly use these publications to gain an understanding of what’s at stake and the importance of the issue and our response to it.. My hat is off to the UK for this valuable information. Thank You! 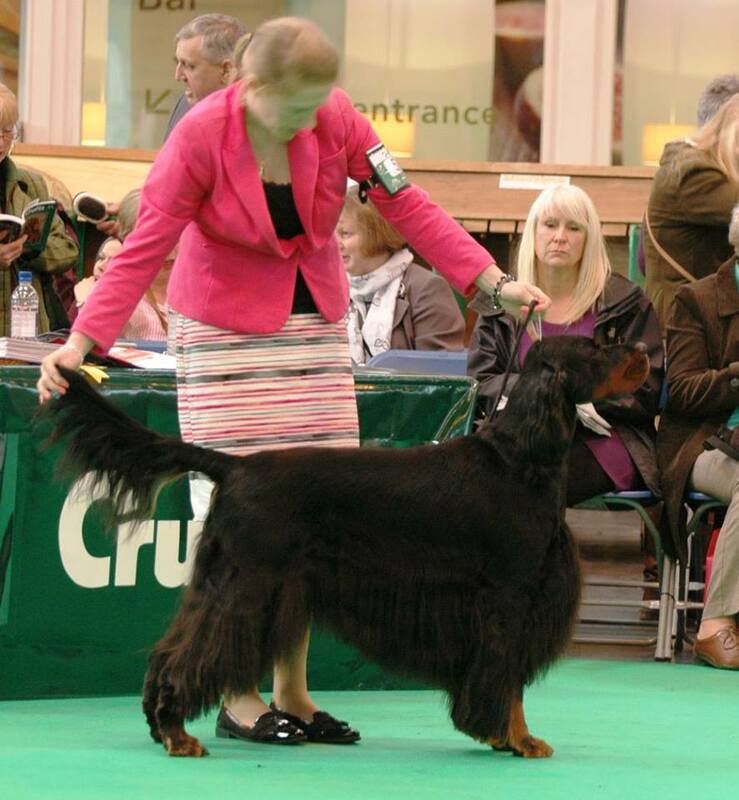 To read the very important “The Kennel Club” report ” Population analysis of the Gordon Setter Breed published September 2015 click the bold title. 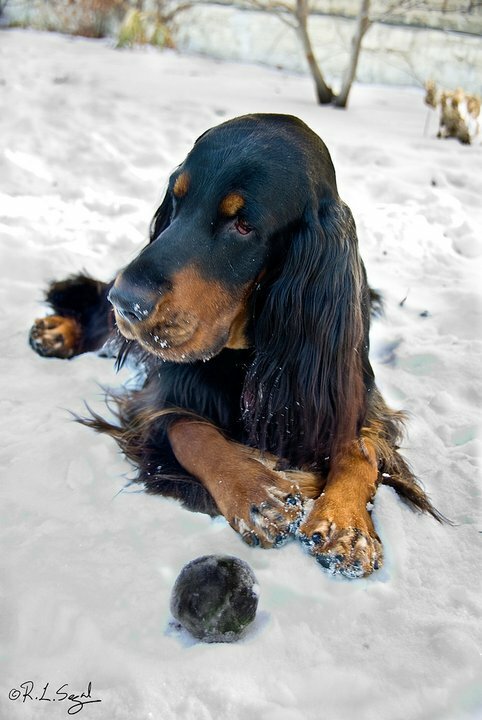 Genetic status of purebred dogs in the UK – The Institute of Canine Biology. If you’ve been wondering if you should take a course in population genetics, this paper will convince you. (Check out the courses that ICB offers here.) 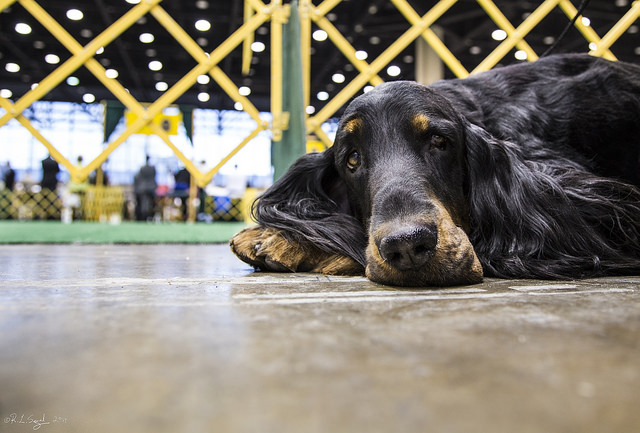 The health of the dogs we breed depends fundamentally on the quality of the gene pool, and assessments of the genetic health of the gene pool are necessarily based on population-wide analyses. 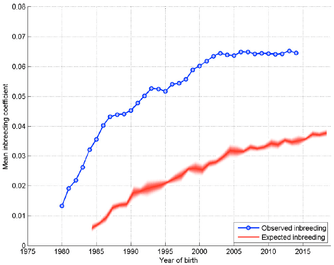 So there is much here about effective population size (Ne), which is determined by the rate of change in the average level of inbreeding in the population. Below are some examples of breeds in which inbreeding doesn’t stabilize after 2000, but increases continuously over the period of the study. 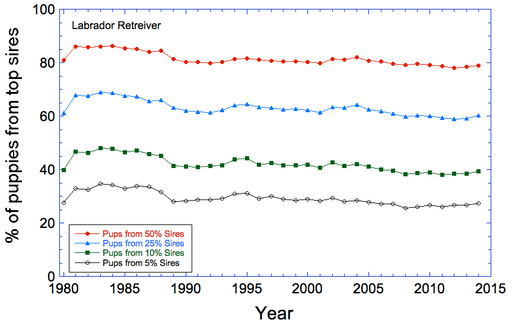 Perhaps these are breeds that didn’t benefit from a surge in imports after 2000 (wish we could see the data for imports), but there is no evidence that breeders have been adjusting breeding strategies to reduce the level of inbreeding. 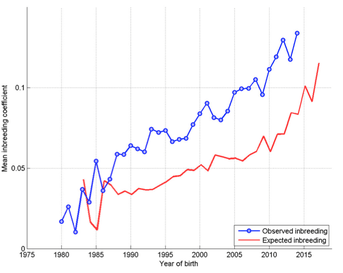 If that was happening, it would be evident in the distance between the observed and expected inbreeding lines in these graphs. 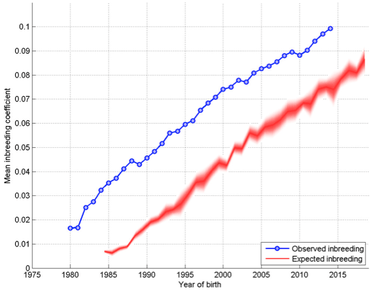 The expected level of inbreeding assumes that breeding is random; the higher observed level indicates that the animals being bred together that are more closely related than the population average. This also indicates the potential magnitude of the reduction in inbreeding that could be achieved by a change in breeding strategy. I would have to say that, after a few hours of fiddling with the available data, the paper’s summary is rosier than the actual picture. 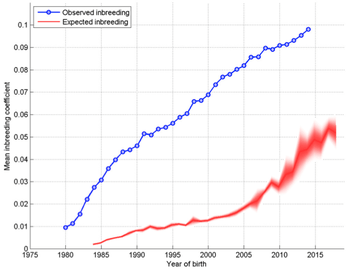 The statement that levels of inbreeding are looking much better since 2000 is quite misleading – it could simply be an artifact of the importation of unrelated dogs, and there are plenty of breeds in which the rate of inbreeding has stayed on the same trajectory for decades and could very well continue. 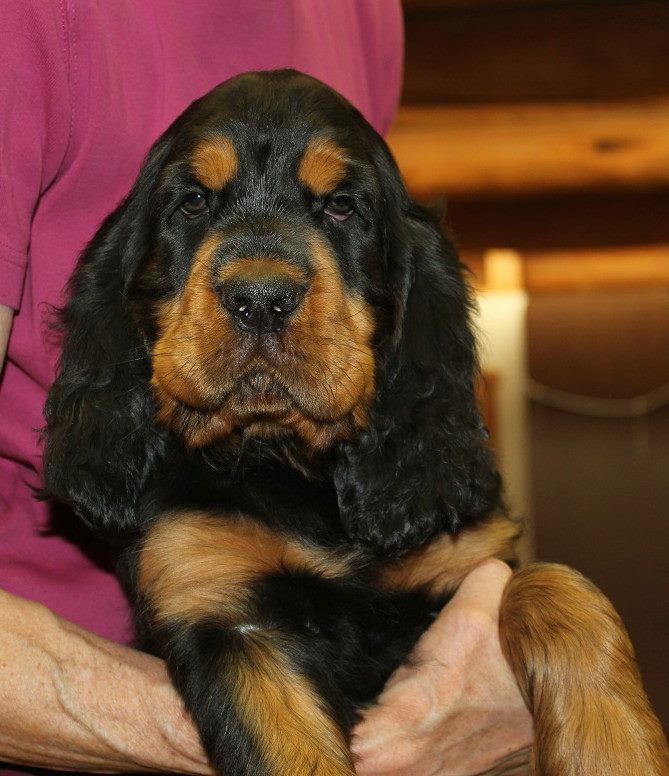 The number of breeds with effective population sizes well into the danger zone should be a heads up for breeders, especially in those breeds that could increase Ne with the simple strategy of breeding a larger fraction of available dogs and balancing the ratio of males to females (as I discuss here). 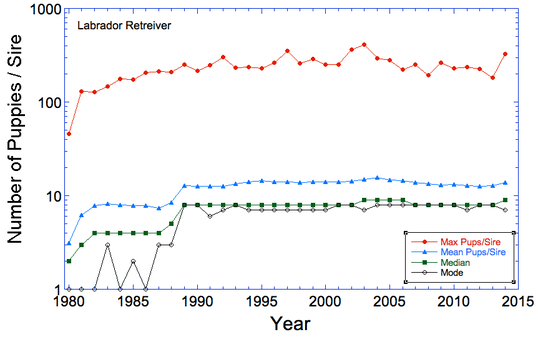 The caveat here is that these data are for an artificial population – the dogs registered with The Kennel Club. 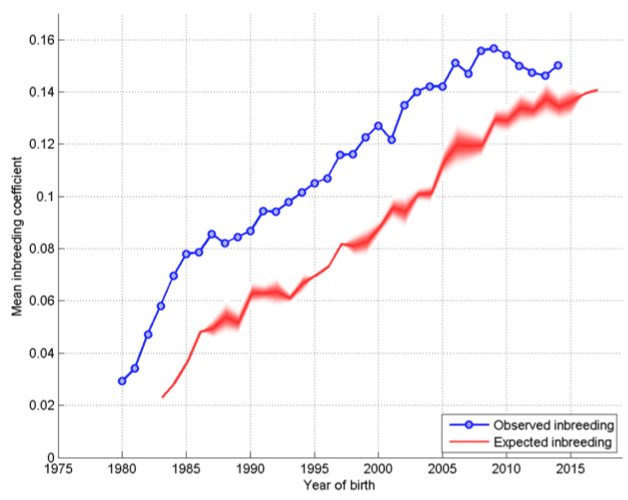 Before 2000, it was effectively a closed population, and since then has the addition of imports with only 3 generations of pedigree information, which makes them appear in analyses like this to be new, unrelated founders. 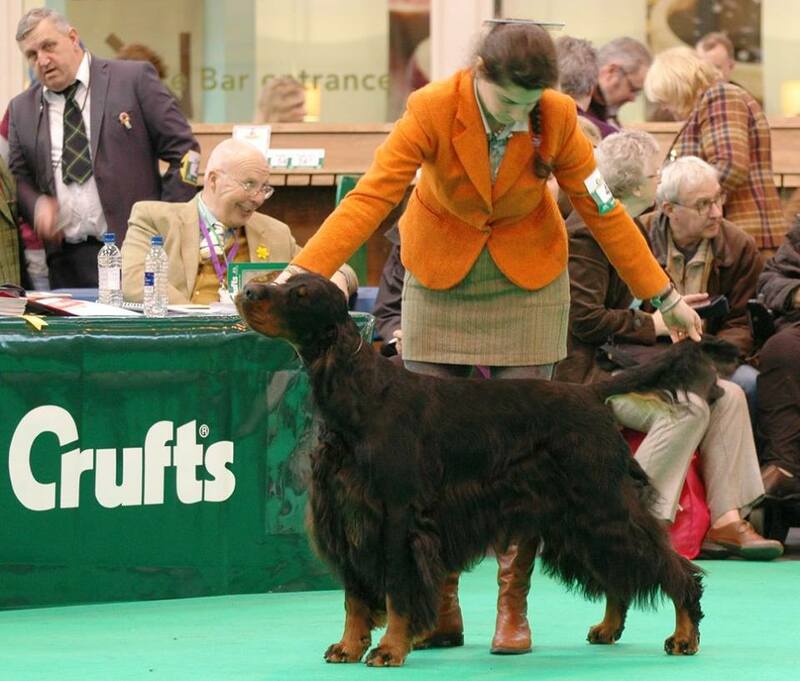 At least The Kennel Club should be congratulated for including geneticists on their staff who have access to the pedigree data and the expertise necessary for these analyses. What a pity that the AKC does not do the same. You can read The Kennel Club’s press release about the study here.